Thought I'd chime in with my Newbery 2 cents. All in all, I was very pleased with the awards announced today. I watched in the library with my super aide Yvonne and an occasional knock on the window from our enrichment teacher Joyce upstairs. Number one exciting moment, our Bailey Newbery Club PICKED THE WINNER! Let me repeat that, a fantastic group of 5th grade readers who worked really hard and read a lot of books over the last 3 months, PICKED THE WINNER! WOO HOO FOR THEM! I was thrilled that the committee actually picked a book that many kids have read and loved. Such a beautiful book that is accessible to so many students, thank you Newbery folks. I have read 2 and a little less than half of the 4 winners. My list is Ivan, which I loved and reviewed about a year ago when it showed up in the book fair and Three Times Lucky which I reviewed as well. I started Splendors and Glooms but it just wasn't my thing and I didn't finish it. It may not count, but the call from the library that Bomb is waiting for me to pick up came today. I can't wait to pick it up tomorrow and get started. Our library has 5 out of the 6 Caldecott titles, only missing Sleep Like a Tiger. Two out of the six have been shared in THE PIT. Finally, I really enjoyed the way Karen and I "looked for Newbery" this year. Seemed a little less stressful and gave me the chance to really enjoy the books. I wish I had posted more reviews, but I certainly won't leave any sleep over it. I was sharing with my students before we started watching the live stream of #ALAYMA today how, for me, this hour-long awards program is equivalent to the Academy Awards, only this time we are honoring books, authors, and illustrators. I actually let out several girly screams while awards were being announced. So many wonderful books under each category. But after the excitement, I reflected a bit and I thought I'd share some of that thinking with you. I am soooooo excited that I actually read all 4 of the Newbery winners -- the 3 honor books and the winner. This is a first for me, and I'm basking in the success. But I couldn't have done it without recommendations from friends, GoodReads, blogs like Heavy Medal, and our wonderful independent bookseller, Sally Oddi. Thanks to everyone who encouraged me to read these books. I am so grateful for the network of readers to which I belong! I thought all the winners were deserving. Each book was an important piece of literature that I'll be delighted to share with my students (if I haven't already -- hello Ivan!!) for years to come. On the other hand, there were some books I absolutely loved this year that weren't recognized with an award. Those books will also continue to be shared with my students - I love each of them for a different reason, and I know they are books with which my students really connect. I really appreciated the article Monica Edinger posted this weekend at the Nerdy Book Club blog clarifying the daunting task of being part of the committees deciding each honor. I couldn't help but wonder how difficult that must be to read voraciously the year you're on the committee, but not to be able to share your thinking/bias about books outside your committee. I am grateful to all those who willingly take on this task. I noticed the Caldecott and Newbery committees had about 15 people each; building consensus with that size of group would take some serious teamwork. Well done! Now that the awards have been announced, I am dying to dive into all the 2013 books and ARCs from NCTE I have been waiting to read. Another year of reading and joy!! In the meantime, congratulations to all the winners!! Bravo! Exactly one day from today, we will learn which books get to wear brand new shiny medals. I am very excited for the announcements, but still have several books I want to read in the next week in an effort to have at least read the winner and honor books. 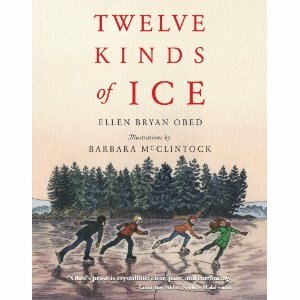 One of those books was the book for today: Twelve Kinds of Ice by Ellen Bryan Obed. Twelve Kinds of Ice is both simple and beautiful at the same time. This is a small book that focuses on the different types of ice that develop with the colder temperatures through the duration of the winter. It made me so happy because of the gorgeous language and the way it harkens back to a simpler time where the formation of ice brings so many joys and activities. These aren't children who come home, only to then be engaged in many extracurricular activities or children who spend hours in front of a television or a computer. Rather, the children in this book can't wait to get home from school and engage in outdoor pursuits, all revolving around the twelve different types of ice. The simple text, beautiful language, and amazing illustrations by Barbara McClintock make for a delightful read! Unlike Karen, I would not be in good shape. I've read one and half of the books on the list. I do have Bomb on reserve but haven't read it yet. 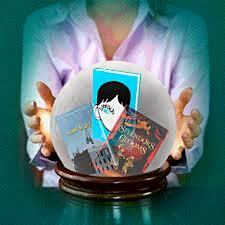 I read Liar and Spy, liked it OK, and couldn't get through Splendors and Gloom, just not my thing I guess. Anyway, one book I hope to see on some award list somewhere is The One and Only Ivan by Katherine Applegate. As you can see from my original post about Ivan, I loved it from the start. In fact, after reading it from the book fair shelf, I told the kids it was THE BEST BOOK in the fair. I'll stand by that statement. The book may be too simple for the Newbery people, too sweet. For kids, however, it's perfect! The members of this year's Newbery Club have chosen it along with One for the Murphy's as their preliminary winners. They show good judgement and a keen eye for good writing in their selection. I've learned through my 29 years of teaching that students are drawn to the free verse books, and Ivan is certainly no exception. When asked why they like them so much? They consistently say it's because they can read a lot in a short time and still have a good story. They feel like they have accomplished something and that's a good thing when we are trying to get kids to love reading. Beyond the free verse aspect of this memorable book, the kids love the characters. Katherine Applegate does such a magnificent job of personifying Ivan and his mall friends that it's easy to forget that she is writing about animals. I have had students from grades 1 through 5 either read Ivan or have had it read to them and all of them love it, that makes it a winner in my book! I was trying to catch up on my blog reading Monday, and I noticed that Heavy Medal blog had their Mock Newbery gathering and voting this past Sunday, and have decided on a winner and two honor books (click here to see the actual vote tallies and some of the thinking behind the voting - interesting conversations). Bill and I are not making any predictions this year about which book we think should win, but if these books are on the list of the official Newbery committee, I would be in very good shape to meet my goal of reading the Newbery winner before it is announced. I have read all three of these books. In the meantime, I continue to read as many books as I can from other lists. Hope you're having fun reading as well. Stop by and let us know of any books you think we absolutely need to read in the next two weeks!! When Karen and I sat down to breakfast I had just started reading The Unfortunate Son by Constance Leeds and told her to add it to my list because just 10 pages in, I was hooked. I liked it a lot. It reads almost like a fairy tail but is set in very real French medieval times. When counts would disown their imperfect sons at birth and force those less fortunate into sadness because their son was born perfect. Times when children of privilege would suddenly become orphans because of their father's misdeeds. The story of two children, Luc the imperfect son, whose luck goes from good to bad and back again over the span of a short life and Beatrice, the child of privilege who is raised by her nanny and her brother in a simple fishing cottage, filled with happiness. The stories of these two could not be more different, but thanks to wonderful writing, they are brought together and form a strong bond that stands up to all of the bad luck in the world. Constance Leeds uses wonderful characters, plot twists and turns to tell the story of these two and all who they come in contact with. Her descriptions of the cities used as settings are amazing, transporting the reader back in time to experience the world with Luc and Beatrice. While this book may not win any awards, I already have students in mind who love adventure and good writing. 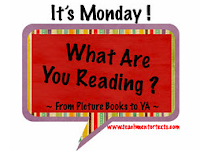 Splendors and Glooms - Looking for Newbery (2013 style) / It's Monday, What Are You Reading? In an effort to organize my time more efficiently, I decided to make this post both one for our Looking for Newbery series as well as for IMWAYR meme. 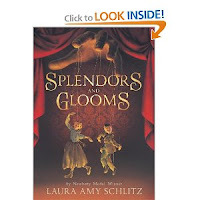 So many people were talking about Splendors and Glooms by the masterful Laura Amy Schlitz, I just had to read it. As an adult, I absolutely loved this book - the magic, the darkness, the plot, how different characters are highlighted, the cliffhangers, the story plots that are so intricately woven together. All amazing! That being said, I'm not sure how I would use this book with my 5th grade students, but I know that is not a criteria for why a book is awarded a Newbery medal. Schlitz is a master storyteller, and Splendors and Glooms is a masterful story. I would not be at all surprised if this book wins some Newbery love on January 28. I will definitely be remedying that not-buying-this-book immediately! I also read Twelve Kinds of Ice and Almost Home this weekend. Both books will be getting their own posts soon, but for now let me just say about both... BEAUTIFUL!!!! Head on over to Teach Mentor Texts to see what everyone else is reading right now as well. So many books, so little time! What a delicious problem to have! 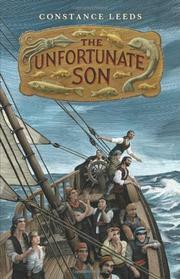 over at Heavy Medal blog as they are narrowing down their mock Newbery list. I must not have been paying close attention this year because this book definitely was not on my reading radar. I read it over break, and I really, really liked this book!!!! It frequently read like a spy novel, which is one of my favorite genres. Many of the scientists' names were familiar, but this really taught me a lot about the specific players in building the atomic bomb; I was not aware how scientists from all around the world were involved. The research and organization the author had to do to put this book together had to be intensive! I am seriously considering this as a NF read aloud with my classes. 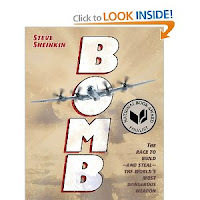 My only concern was, and maybe it's because I read it on my Kindle, I had a hard time keeping track of the characters at times because there were so many people involved - either in the actual making of the bomb or the spying for information about the bomb. Scientists and spies all over the world. But it did make for quite the page-turner. 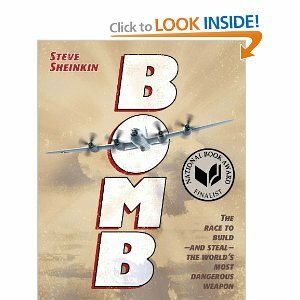 It is fun to see a nonfiction book like Bomb be so well-written that it is considered "distinguished" enough to make some mock Newbery lists. It reminds me of Amelia Lost in that respect. And it has already been selected as a National Book Award finalist. Who knows what might be next? 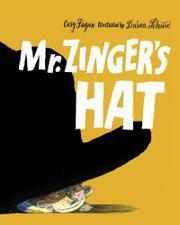 Ok, so I know it's a picture book, I know both the author and illustrator are not from the United States, but since it's 2013 and Karen and I have switched it up a bit, I'm posting about Mr. Zinger's Hat by Cary Fagan, illustrated by Dusan Petricic. I read it yesterday after seeing the reviews in School Library Journal and it has quickly moved into one of my favorite books EVER! Leo is a boy who spends his days bouncing his ball of a wall and watching Mr. Zinger walk laps around the building. He is intrigued by Mr. Zinger, maybe a little bit scared, and his mom tells him to leave Mr. Zinger alone, he is a story teller and he's making up stories as he walks. On a windy day, Leo's ball knocks Mr. Zinger's hat off and it blows away and Leo chases it down. The old man and the boy sit on a bench and Mr. Zinger begins to weave a story stopping to ask Leo questions about the plot, characters, setting and filling in with whatever Leo "finds" in his hat or asking more questions to get more details, Leo always looking into Mr. Zinger's hat for the answers. In the end the old man goes to rest and on another day, Leo meets a friend, Sophie and he begins to pull a story from his hat with Sophie filling in the details. I LOVE this book! The possibilities for read aloud are wonderful and the possibilities in the classroom are endless. What a great tool for encouraging reluctant writers to pull the details from their "hats" to make their stories even better. I LOVE THIS BOOK! 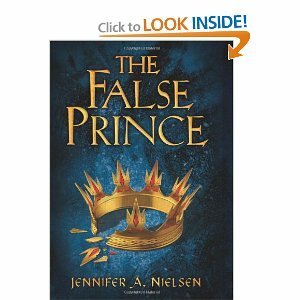 The first time I heard of The False Prince was when Susan Dee recommended it to me on Good Reads. Then, as Bill and I were looking at different Mock Newbery lists, The False Prince showed up on Anderson's Bookshop's list and even got 1 vote on Heavy Medal's December voting. I finally just went ahead and ordered it for myself, and I'm so glad I did! From the very beginning of the story right through to the last page, Jennifer Nielsen takes the reader on an incredible, action-packed journey, with many, many plot twists along the way. I'm dying to share this with my students but truly can't decide if it would be better to read it aloud to reach the largest possible audience, or let it start to float through the room to those who are interested. But it most definitely should be read!! Without giving too much of the plot away, this is a story about an ambitious man, Conner, who handpicks four orphan boys in the hopes he can transform them into royalty so they will be able to impersonate the son of the king. This son was thought to have died in an attack by pirates but his body was never found. Conner thinks he will become the power behind the throne if one of his orphan boys can "sell" people that he is in fact the long-lost prince. The False Prince is not a book I would normally have chosen on my own, so I'm very grateful for my friends' recommendations. The writing is amazing, the plot is intricately intertwined, and there is most definitely several different themes within the story. I'm delighted that there are yet two more books to follow this one, as it is part of a trilogy (I actually just pre-ordered the second one in the middle of writing this post!). 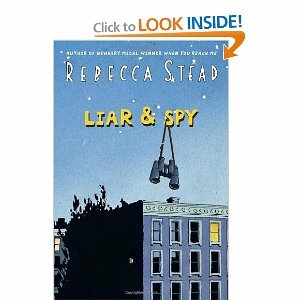 Ever since I read When You Reach Me, I have been a huge Rebecca Stead fan. That book caught me off-guard with all its subtle plot twists and turns that led me to gasp toward the end. What an amazing storyteller Stead is. So when I had an opportunity to read an ARC of her latest book, Liar and Spy, earlier this year, I jumped on it and I remember really, really liking it. As this title has been one mentioned on several Mock Newbery lists, I decided it was time to reread Liar and Spy over holiday break since I read it so quickly my first time through. Doing that quick read, I've been known to miss important plot devices. This time I read more slowly and thoughtfully. Knowing the ending already also allowed me to focus on the surprise plot twists and turns, and see things a little more clearly. I loved this book the first time, but loved it even more the 2nd time. The plot and the characters are so well developed, but I didn't fully appreciate that in the first read. I have read on some of the Mock Newbery blogs that theme is one of the many things on which the Newbery panel will focus. This book has several themes and all of them quite important. Empathy, staying true to who you are, the importance of friendship, friendship issues, how we deal with difficult situations, and more -- all themes that Stead delves into. Stead is a master of her craft, and while When You Reach Me might be one of my all-time favorite books, Liar and Spy is another well-crafted book as well. No matter what happens on Jan. 28, this book will have an important place in my classroom! 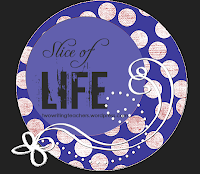 When Karen and I started this blog, one of the things we talked about was our fascination with reading the Newbery winning books. Both of us tried to read all of the winners after they were announced, and that moved into trying to read them before they were announced which naturally turned into trying to predict the winners. Sitting at breakfast the other morning, which we just don't do often enough, we both agreed to that we weren't up to trying to pick a winner this year. 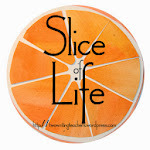 We agreed that there are a lot of great titles out there, some on "the lists" some not so instead of racking our brains trying to narrow our picks down to 5 or so winners, we were just going to read what others say look like Newbery quality books. Since I haven't been here in 3 months, and the Newbery Lists seem to be a bit of a circling back thing, I thought I'd start my side of the Reading for Newbery posts with my last post on Literate Lives. 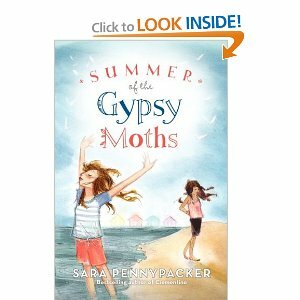 Summer of the Gypsy Moths by Sara Pennypacker was a book I picked off the new shelf at my local library. 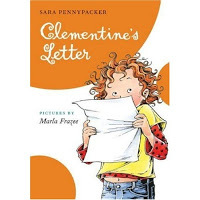 I didn't know anything about the book, but when I saw Sara Pennypacker, and it wasn't Clementine, I had to read it. As my post says, I loved it. The surprising events early in the book, the strong female characters who are survivors, the setting, everything about it was wonderful. I put into the hands of some of my students in the Newbery Club and they loved it too. They were a bit "freaked" out by the description of the dead body, and thought the girls should have handled the situation in a much different way, but overall, they liked it as much as I did. I've seen the book on a few lists, and on some Newbery lists it had it's day and is now gone, but in my mind, it's Newbery quality and I thoroughly enjoyed all of it. Hey, it's good to be back writing about good books, I'm looking forward to hearing what books are on your lists! I started thinking about this word for the first time this past June at the All Write conference in Indiana when Ruth Ayres gave the keynote speech. She brought tears to my eyes, and I wrote the word she mentioned in huge letters in my notebook. Then I attended a writer's retreat with Ruth this summer, and she mentioned the word again in a chat we had sitting on a porch overlooking a gully in the beautiful Hocking Hills area. This time, I quickly typed the word into my Notes app on my iPhone. The next time I heard the word was at a NCTE session where Ann Marie Corgill, Patrick Allen, and Tony Keefer presented. Tony referenced Ruth's keynote from June and mentioned how much this word had come to mean to him in his teaching life. I wrote the word again, this time in all caps in yet another notebook, and I tweeted it out for others to know as well. The word that keeps coming back to me: JOY. I have been thinking about how to bring JOY into my life since June when Ruth's keynote gave me goosebumps and brought tears to my eyes. The fact that I kept encountering the word along the way these past six months was just cosmic, and meant to be. Speaking of which, other slices can be found at Two Writing Teachers, Ruth and Stacey's blog, the blog that inspires us all to be here. Happy New Year! Bill and I got together yesterday morning for a long breakfast to catch up on each others' lives and to decide where we want to go with our blog. Those of you who patiently follow us, know that to say we haven't posted with regularity recently would be a huge understatement. We thank you for your patience, and want you to know we've decided to continue with our mission here - reading good books and getting them into the hands of students. I think the thing that put it over the edge for us was our conversation about which book might possibly win the Newbery Award on Jan. 28. We've done our Looking for Newbery series the past few years and have had a lot of fun with it, but this year we've decided to change a few things. First of all, there are many sites available to all of us that talk about Mock Newbery lists with much more background knowledge about what really wins the Newbery than we have. Heavy Medal blog and Fuse #8, both at SLJ, are great examples of this. In addition, we have discovered Anderson's Bookshop Mock Newbery list, and then there is the Mock Newbery group over at GoodReads. Bill and I have decided to use these lists as our jumping off points, and then we are both going to try to read the Newbery winner, which we hope might be reflected from one of these lists. Our goal this year is not to tell you what we think might win the Newbery, but rather to read the books mentioned, and to do a quick review of each. We'd love to have you follow our journey, as we are sure many of you are also doing some frantic reading just like us, as we head to the big date of Jan. 28. Let's have some fun talking about books together during the month of January!! We hope 2013 is a wonderful year for all of you.